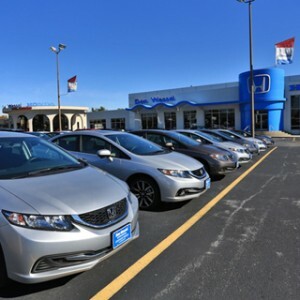 The 2016 Honda Civic technology features have helped make it one of the most popular cars in Mid-Missouri, giving drivers a range of advanced connectivity and safety amenities. We think the best way to see these amenities is to get behind the wheel for a test drive, but we have a rundown of the most popular tech features to tide you over. The Honda Civic technology features make it easy to stay connected behind the wheel, optimizing the vehicle for convenience whether you drive the sedan or the coupe. From standards like Bluetooth to advanced features like the satellite-linked navigation system, the Civic is state-of-the-art. Bluetooth HandsFreeLink: Connect your smartphone or other Bluetooth-enabled device with the Civic and make hands-free phone calls or stream music wirelessly. Display Audio: The Civic has a standard display screen as well as an available 7-inch Display Audio touchscreen that brings intuitive controls and advanced software like Apple CarPlay and Android Auto. Android Auto and Apple CarPlay: These connectivity features bring familiar Apple or Android apps to your vehicle and seamlessly connect a smartphone with the Display Audio touchscreen. 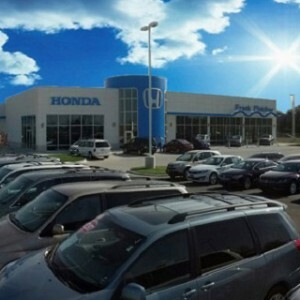 HondaLink: The exclusive HondaLink telematics system is available on the Civic and syncs your phone and your car via an app, bringing podcasts, social media, radio, music, and more to the cabin. 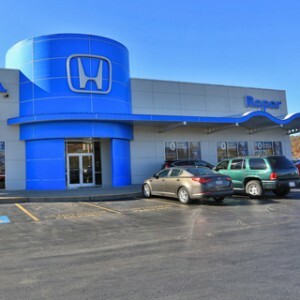 Schedule a service or maintenance appointment with just a few taps on the HondaLink app. Navigation: Whether venturing somewhere familiar or planning a trip somewhere new, the Civic’s available satellite-linked navigation system has your back with turn-by-turn directions and traffic re-routing. Find points of interest along the way for entertainment or dinner while on the road. Adaptive Cruise Control: The Civic can track the speed of the vehicles around it and adjust the cruise control settings automatically to keep pace while you focus on the drive. Forward Collision Warning: The same sensors that monitor the speed of other cars can detect if you’re likely to hit one of them and issue a warning to bring your attention back to the road. Collision Mitigation Braking System: If the driver doesn’t respond to the forward collision warning system, this safety feature can actually apply the brakes to slow or stop the Civic. Road Departure Mitigation System: This advanced safety feature monitors markings that signal the side of the road, and if it senses you drifting from the pavement, it can actually correct your course and keep you on the road. Lane Departure Warning: A front-mounted camera tracks lane markings and issues audio and visual warnings to the driver if it senses a drift from the center of the lane. Lane Keeping Assist System: This safety system can adjust the torque and essentially give the wheel a nudge to keep you centered in your lane if you start to drift. Now that you’ve seen the features, you might be asking how they compare to competitors; well, we have you covered. Toyota Corolla: Many of the Civic’s features are available on the Corolla, but they require upgrades, often significant ones. Features like a multi-angle rearview camera are not standard, and nothing comparable to Honda Sensing exists short of the top trim levels. To top it all off, the 2016 Toyota Corolla mpg ratings fall short of the Civic as well. Hyundai Elantra: Our 2017 Hyundai Elantra review covers all of the differences between the two sedans, but the short version is that when it comes to tech features, Hyundai still expects drivers to upgrade for features like a rearview camera and even cruise control. The 2016 Honda Civic technology features give it a huge advantage over its competitors, and we want to show you all it can do. 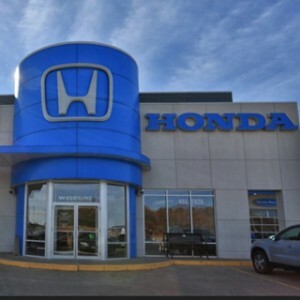 Visit a Mid-Missouri Honda Dealer near you today to learn more about all the Civic has to offer over the competition and to take one for a test drive.